When you are in Belgrade and you mention Plato, there is no doubt that everybody will think about plateau in the front of the Faculty of Philosophy. The epicenter of the capital and academic life, witness of historical events and free thoughts. Once, there was well-known coffee shop & bookstore. Today, at the same place you will find Plato restaurant, spacious and modern catering facility, worthy of the location where is settled. The famous garden is modified so restaurant guests can enjoy, but still didn’t lost the spirit of the city. In addition to the standards of national and international cuisine on the menu are specialties of modern cuisine, so lovers of unusual taste and those who want to try some new flavors are free to indulge their pleasure. The selection of wines are from the best local, to the world’s most famous labels. Imaginative desserts are a different story and represent the crown of a perfect meal, but you will not go wrong if you stop by in passing just to grb something sweet and drink one of the best coffese in town. Evenings on Thursdays, Fridays and Saturdays are reserved for the music program. The restaurant also has great possibilities for organizing various of celebrations. In addition to two separate galleries which can accommodate 25 people, there is also space for larger celebrations up to 150 people. 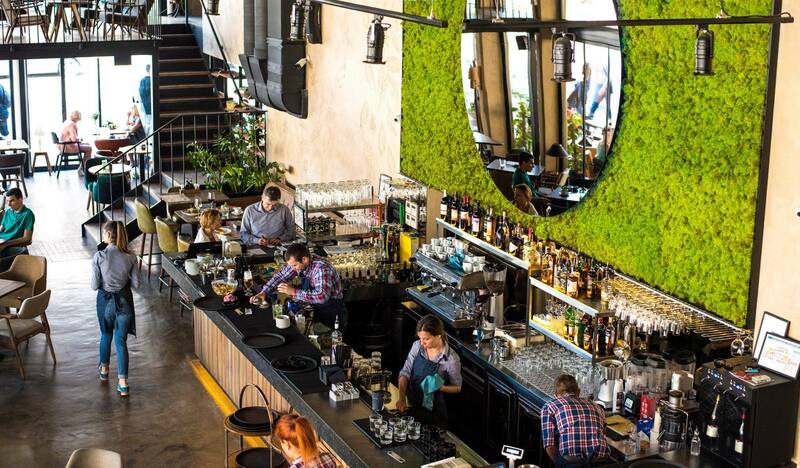 Check the full list of the best restaurants in Belgrade!